When the cornea is reshaped in the right way, it works better to focus light into the eye and onto the retina, providing clearer vision than before. Both nearsighted and farsighted people can benefit from the LASIK procedure. With nearsighted people, the goal is to flatten the too-steep cornea; with farsighted people, a steeper cornea is desired. Excimer Lasers can also correct astigmatism by smoothing an irregular cornea into a more normal shape. 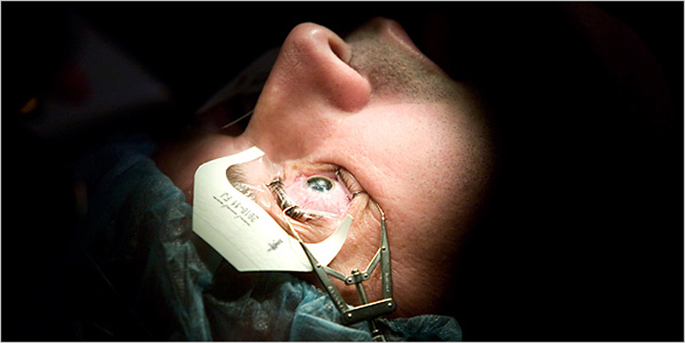 LASIK surgery is customized as per the patient’s needs. No injection, stitch or patch is required for this painless procedure. The refractive surgeons at CEDS Eye Hospital are highly qualified and experienced and perform both conventional and bladeless LASIK. The patients are selected for surgery after a stringent pre-operative assessment which includes a detailed eye examination with specialized tests for Corneal Topography (study of the corneal shape), Aberrometry (study of the optical errors and imperfections of the eye), Pachymetry (measurements of the corneal thickness) and evaluation of the ocular surface and tear film. The patients are counselled and assured of quality before the refractive surgeon performs the LASIK / Femto-Lasik (Bladeless) procedure at a conveniently located LASIK center. The post-operative management is brief. LASIK surgery is your key to a spectacle free world. 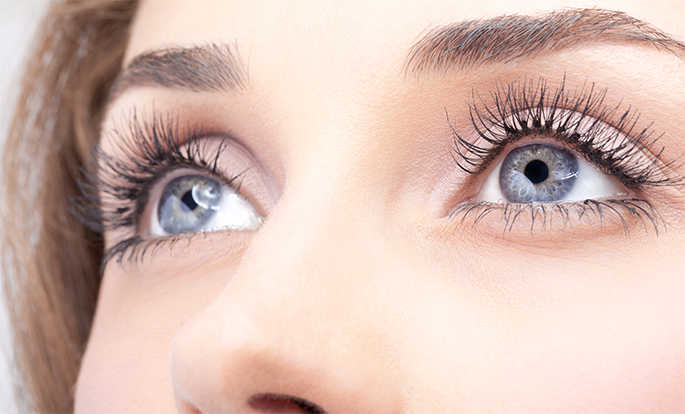 If you are considering LASIK eye surgery, your first step is to choose a good surgeon. In order to decide whether you're a good candidate for LASIK, your eye doctor will examine your eyes to determine their health, what kind of vision correction you need, and how much laser ablation is required. Your doctor will also look for signs of dry eye disease, which must be treated and cleared up before LASIK can be performed. Also, a corneal topographer is usually used; this device photographs your eye and creates a kind of "map" of your cornea. With new Wavefront technology associated with custom LASIK, you also are likely to undergo a Wavefront analysis that sends light waves through the eye to provide an even more precise map of aberrations affecting your vision. Finally, the doctor will find out from you if you have any pre-existing medical conditionsand if you are taking certain medications. Some health conditions may disqualify you altogether for LASIK, but others may just postpone the procedure until a later date. LASIK is an ambulatory procedure; you walk into our center, have the procedure and walk out again. In fact, the actual surgery usually takes less than five minutes, and you're awake the whole time. Occasionally, the doctor will give a mild oral sedative beforehand. Even though the procedure is relatively quick, this does not minimize the importance of having it performed by a highly skilled surgeon with proper equipment because LASIK is a very delicate procedure. You also should have someone accompany you to drive you back home afterward. 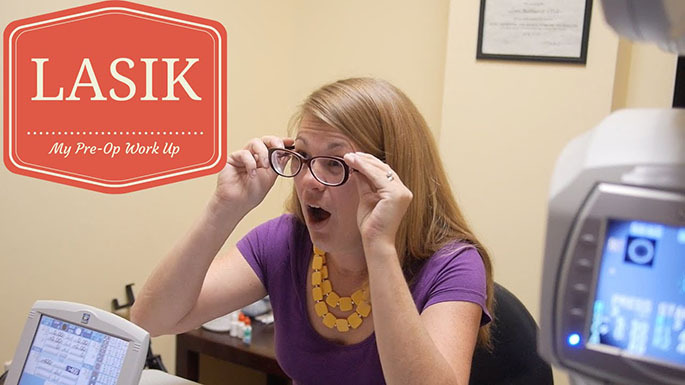 Most people don't feel pain or discomfort during LASIK surgery. Your eyes are first anesthetized with special drops. The doctor will have you lie down, then make sure your eye is positioned directly under the laser. (One eye is operated on at a time.) A kind of retainer is placed over your eye to keep your eyelids open - normally, this is not uncomfortable. It has a suction ring that keeps your eye pressurized, which is important in LASIK for allowing the surgeon to create the corneal flap. The surgeon will use an ink marker to mark the cornea before the flap is created. The flap is then created with either a micro- keratome or with a laser, depending on the surgeon's and/ or patient’s preference. During the procedure you won't actually see the creation of the flap, which is very thin. The doctor uses a computer to adjust the laser for your particular prescription. You will be asked to look at a target light for a short time while he or she watches your eye through a microscope while the laser sends pulses of light to your cornea. The laser light pulses will then painlessly reshape the cornea. You may hear a steady clicking sound as the laser is operating. You are also likely to smell a mildly acrid odor due to the tissue removal. The higher your prescription, the more time the surgery will take. 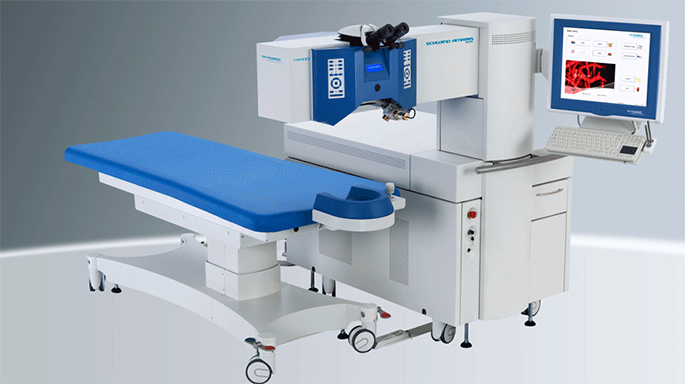 The surgeon has full control of the laser and can turn it off at any time. After the procedure is finished, you will rest for a little while. If you're having both eyes done the same day, the surgeon will probably do the other eye after a short period of time. Some people choose to have their second eye done a week later. The doctor may prescribe medication for any postoperative pain, but many people feel no more than mild discomfort after LASIK. That's one advantage over PRK, which can be quite painful afterward. As with any kind of surgery, it's important that you follow your doctor's instructions to the letter. Get proper rest, fill and use any necessary prescriptions and call your doctor immediately if you suspect a problem. What occurs after the surgery can affect your vision just as much as the surgery itself. Immediately after LASIK, the doctor will have you rest for a bit, then you can go home (someone else must drive). At home, you should relax for at least a few hours. You may be able to go to work the next day, but many doctors advise a couple of days of rest instead. They also recommend no strenuous exercise for up to a week, since this can traumatize the eye and affect healing. Avoid rubbing your eye, as there is a chance (though slim) of dislodging the corneal flap. With LASIK surgery, most people's vision improves right away, but some find that their vision gradually improves even more over the next few days or even weeks. Most people achieve 20/20 or better vision with LASIK. Some may achieve only 20/40 or not quite as good. In fact, 20/40 is fairly good vision. In most states, the law considers it good enough for driving. Some patients may still need glasses or contact lenses following laser vision correction, though their prescription level typically will be much lower than before. Postoperative complications can include infection or night glare (starbursts or halos that are most noticeable when you're viewing lights at night, such as while you're driving). Rarely, people will experience improvement, then notice a gradual worsening of vision (called "regression"). If this happens, discuss it with your surgeon to determine if more surgery (called an enhancement or "touch-up") will be necessary. Even if you see perfectly after laser eye surgery, you may still need reading glasses or bifocal contact lenses once you hit your 40s. This is because of a condition called presbyopia, which begins to develop in most people when they're between the ages of 38 and 42. Your distance vision will probably remain crisp, but seeing up close will be more difficult. All of these are important topics to discuss with your surgeon before deciding on the surgery.